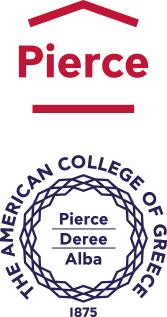 The Office of Admissions at the American College of Greece has developed a multi-faceted mobile app, chock-full of information about studying at DEREE. What can you expect to find? Each panel has all the information anyone could possibly need organized in easy-to-use tiles under each category. For example, the Discover DEREE category has tiles for upcoming Discover DEREE Days, contact details, transportation info, visit request and information about Athens. By clicking on the Transportation Info tile, the user can find out the best way to reach the College, with information about bus lines, the metro, the DEREE shuttle buses etc., as well as the option to “Get Directions,” which opens up a handy navigation tool. An especially useful feature, is the News & Events category. By feeding from ACG’s main website, this section of the app offers the user the most up-to-date news articles and all upcoming events with the where/when/what conveniently answered on screen. The beauty of apps is in the simplicity of use and the straightforward nature of the information. This app is incredibly useful for new and study abroad students, but also for continuing students and anyone who works at DEREE. The DEREE Admissions app is free to download and works on all smartphones, tablets, and the iPod touch. It can be found both on the App Store and on Google Play, where it is steadily collecting positive ratings. Download it today and never miss a DEREE-beat!